A global powerhouse that specialises in importing and exporting heavy plant machinery. 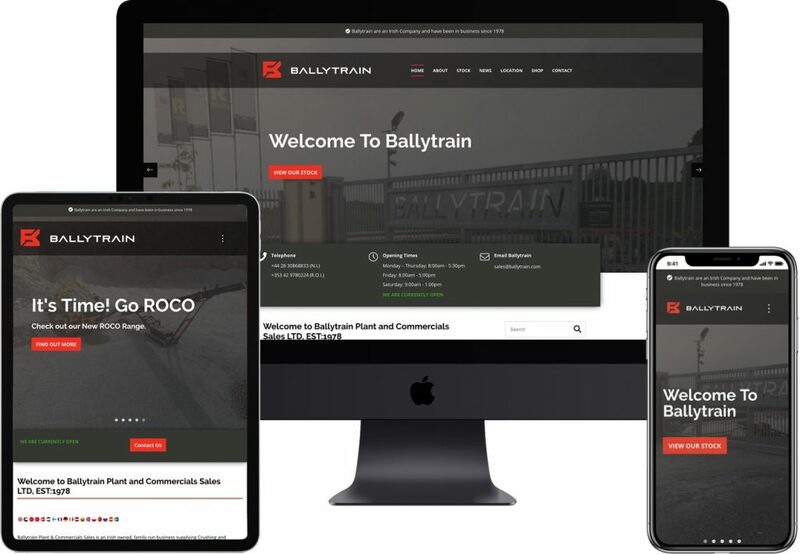 We have been working with Ballytrain since 2013 and their previous site created by us was in need of a re-skin. The company had rebranded and needed this reflected in their new web presence. There was no abiity to filter stock by sub category, the site didn’t support video and there was no ability to buy their merchandise online. We concentrated on the mobile version of the website as over 70% of the traffic is on a mobile device. We redesigned the entire site, created custom icons to help with categorisation of stock and added filters to help user find their plant quicker. We adhered to their new branding guidelines, colours, fonts and styles to ensure consistency across all the media that the client uses.